Free Shipping on Orders of $ 75.00 or More! Bison Tool & Abrasive is excited to offer our customers FREE shipping on orders of $ 75.00 or more! 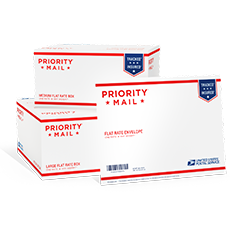 When you purchase $ 75.00 or more in merchandise (before tax), we’ll deliver it to you free of charge via FedEx Ground shipping or USPS Priority Mail (2 to 7 business days, depending on shipping location). Details: Order must be shipping to one address. Other delivery methods will be charged at their normal rates. Most orders will ship within 24-48 hours from order date. All Other Orders Ship for $8.00 Flat Rate! Orders will ship via FedEx Ground or USPS Priority Mail and must be shipping to one address. Most orders will ship within 24-48 hours from order date. Expedited shipping options are also available, at the market rate.